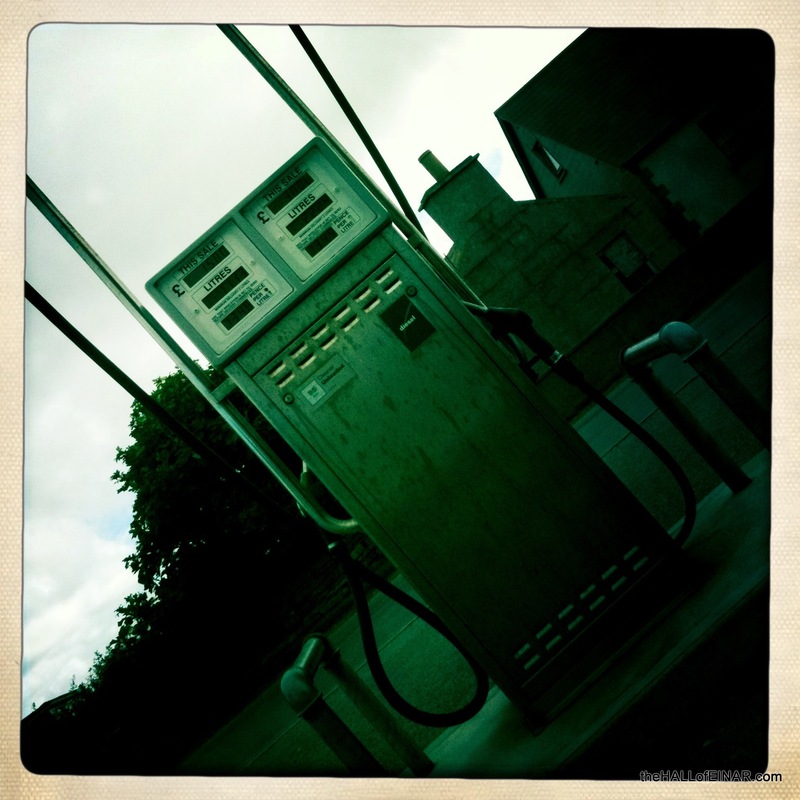 There’s now only one source of petrol and diesel on the Island – and this is it. We’re on bicycles for a month, so I’ve not had to use it, although I should really have got some for my petrol strimmer. I’ve been too busy enjoying Island life to use it. 2 Responses to "Filling Up"
The neighbour’s ponies have worked wonders with the field and turned it from rough wilderness to manicured cropped grass and clover good enough to roll in (if it weren’t for the pony poo). The front lawn is a different matter though and since there’s no fence sheep might wander. ‘Sheeps’ might look after the lawn but who would look after the ‘sheeps’?